If you’re already a successful manager, you need to check out our Restaurant General Manager position. As a Restaurant General Manager, you have the keys to a successful business. And when you grow your team and the business by making our customers’ day, you get rewarded in a big way. A natural leader, you want to be captain because you can bring together a winning team. You’re all about creating a great place to work for your team. And, you’re at least 18 years old and have a true desire to learn and grow. At KFC, what you do matters! 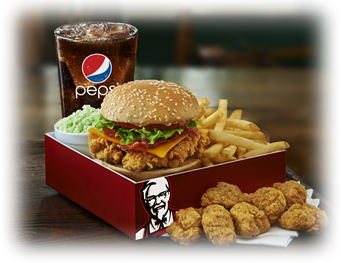 So if you want to be part of a winning team, find out now why Life Tastes Better with KFC. Apply today!